At London Cru we are tremendously proud of our 2018 Baker St Bacchus. This wine is the quintessential English still wine, with a bright zesty palate, a vibrant gooseberry and elderflower nose and enticing background aromas of hedgerow and yeasty goodness from lees aging. This wine is the perfect accompaniment with seafood such as oysters, lobster, or the humble fish and chips, but is also fabulous as an aperitif with mild cheeses. What makes this wine so special? Baker St incorporates Bacchus from two outstanding vineyards, one located in Kent and the other in West Sussex. The Kent vineyard in July 2018 a few months before harvest. These grapes were gently transported to our winery in London, partially destemmed, and pressed in our state-of-the-art pneumatic press. The juice was then fermented in four different components each with a different design focus. 90% was fermented and aged in stainless steel tanks which preserves the purity of the Bacchus aromas. 10% of the wine was fermented and aged in old oak barrels adding a richer, lightly oaked character and builds the body and complexity of the final wine in the blend. The wine was aged on lees for 5 months after fermentation which continued to build the mouthfeel and texture of the wine. Baker St is a serious wine with incredible length and mouth wateringly delicious balance. Olly Smith from the Daily Mail has agreed that the 2018 vintage in the UK has provided wines of amazing quality and judged our Baker St to be ”Exuberant, floral and zesty, this urban winery’s bottle is liquid splendour”. Even before officially releasing our Bacchus it has been quickly listed at some of the finest restaurants in London! Watch this space in the coming months as we release the exact venues and their recommended sommelier pairings. Baker St is currently available for pre-order for £15 and will be available from early May. Judging from initial interest and that we sell out of Bacchus every year we recommend you get your hands on a few bottles now to avoid disappointment. At London Cru we have also recently launched our new members Crush Club, where we are inviting wine lovers to join us in the next harvest! See this flyer for more information. Vintage 2018 is done, the fermentations are all complete, and as winter takes hold of London the activity for London Cru in the Roberson winery slows down. This is a great time for our team to stop and reflect on our achievements since opening the winery in 2013. We have become a well-known hub for tasting cracking wines, a lively event space, and a producer of critically acclaimed wines. The 2018 vintage was a particularly great one for us and highlights the growing maturity of the wine industry in the UK. 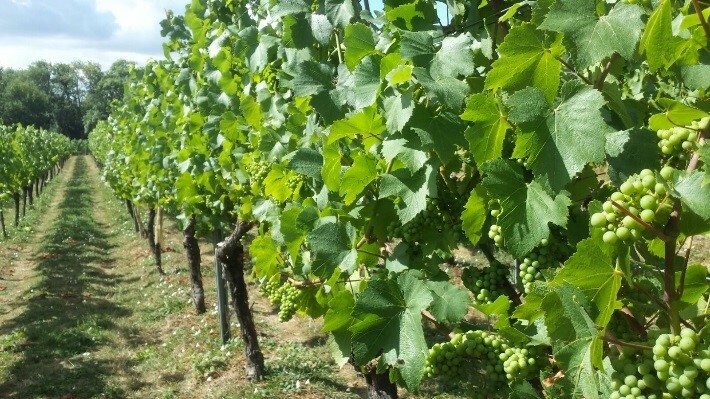 With a great number of new vineyards being planted around the country, and production of increasingly high-quality grapes, England really has become a world class producer of cool climate wines. To support this future, the London Cru wines from 2018 were exclusively sourced from vineyards in England. 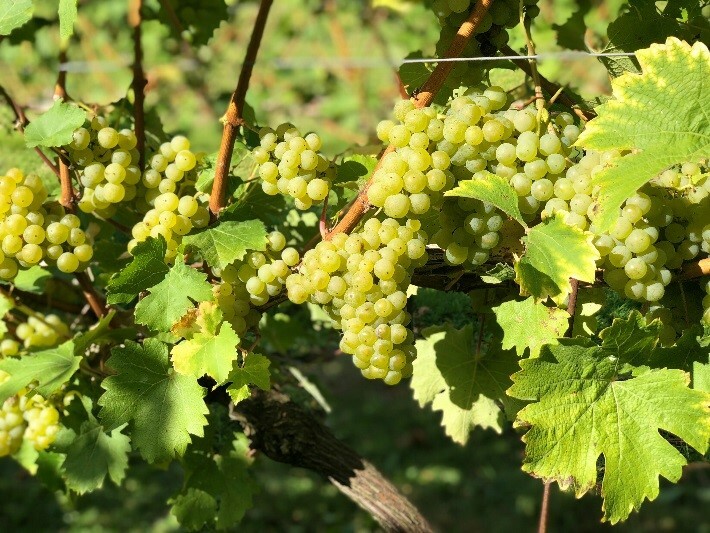 This decision was made deliberately to support our local growers, allow us to showcase quality English wines in the heart of London, and finally to minimise the environmental impact of transporting our fruit long distances. As the first urban winery in London, we feel this new step is an important metamorphosis for our long-term sustainability. At London Cru we have shown the world that quality award winning wines can really be made right in the heart of the capital. In the coming years London Cru will continue to demystify wine and bring innovation and eccentricity into the London wine scene. 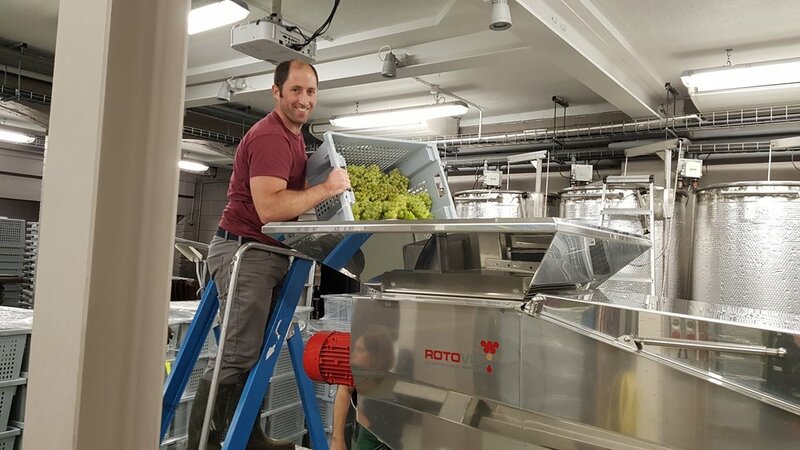 With this new pathway in mind we would like to introduce Alex Hurley, who will join Agustín Novoa in the winery team for 2019. Alex worked as a Geologist through Australia and Asia before deciding to follow his passion for wine. Having previously made wines in Australia, Burgundy, and Barolo, the seduction of working with quality English grapes brought him to the UK. 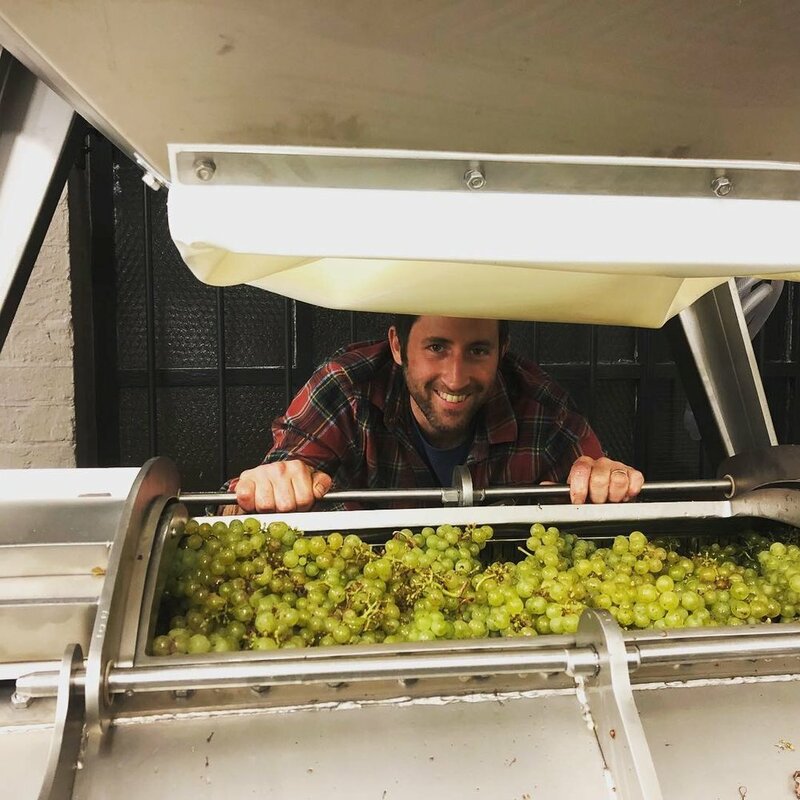 With a Master of Enology and Viticulture, Alex will drive the daily operations of the winery, work closely with our growers, as well as be a friendly face in the winery. In sync with our new direction with the London Cru wines, Alex loves to make wines with minimal intervention, great balance, and natural acidity. When not making or talking about wines, Alex is a passionate foodie and looks forward to exploring more of the English countryside. If you’re interested to get a sneaky taste of the wines from our winery tanks, have a chat with our team, or find out more about our new winemaking direction at London Cru, check out our upcoming tours and tastings. Sign up with your email address to receive news and updates from London Cru. Thank you. We'll be in touch soon.